Adampol S.A. shares tha pain with Gdansk - Adampol S.A. 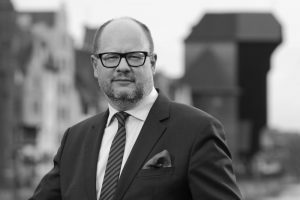 It was with great sadness we learnt of the death of Mr. Paweł Adamowicz, the Mayor of Gdańsk. The invaluable Mayor’s Pawel Adamowicz contribution to the development of the Gdańsk city and Port of Gdańsk will be an inspiration for Adampol company. Our thoughts are with his family and friends and we stand in solidarity with the people of Gdańsk.